Ahmose was born in the city of Nekheb, the modern El Kab. During the war to expel the Hyksos from Egypt, in the reign of Seqenenre Tao, his father enlisted in the navy. After the deaths of Tao and his son Kamose, Ahmose began to serve as a soldier under Pharaoh Ahmose I. He participated in the battle of Avaris (the Hyksos capital in the Delta), where he killed two Hyksos and was awarded the "gold of valor" twice. Ahmose was awarded slaves and other spoils by the pharaoh after Avaris was sacked. Ahmose also participated in the three-year siege of Sharuhen in southern Canaan for which he was rewarded. He followed his king to Nubia, where they put down three rebellions. Under Amenhotep I, he fought against the Nubians and was given gold and slaves for his bravery. During the reign of Thutmose I, Ahmose participated in a naval campaign against Nubian tribes in the Nile valley and was appointed admiral. He also followed Thutmose on a campaign against Naharin all the way to the Euphrates River. "Biography of Ahmose, son of Ebana" in Ancient Records of Egypt by James Henry Breasted, Part Two, sections 1 to 24, 38ff and 78ff. 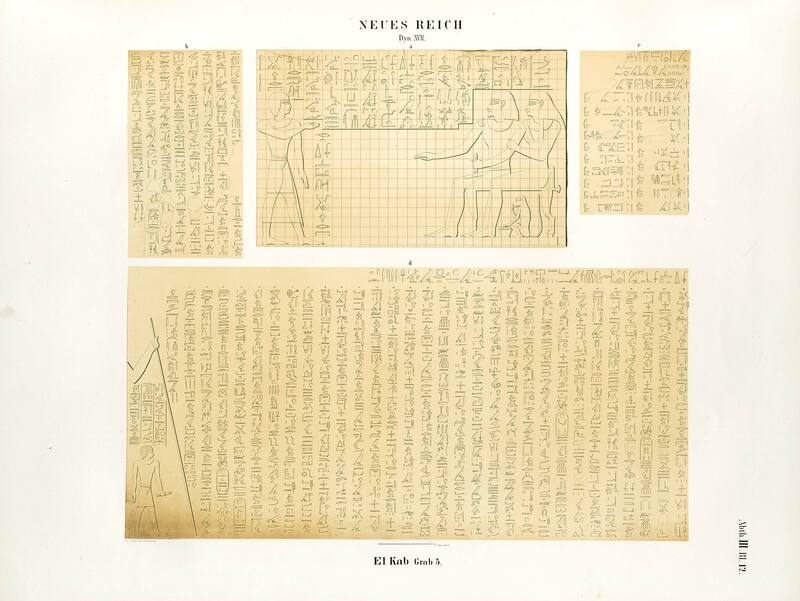 "The Autobiography of Ahmose Son of Abana" in Ancient Egyptian Literature by M. Lichtheim, vol.2, pp. 12ff. Wikimedia Commons has media related to Ahmose, son of Ebana. Autobiography of Ahmose, in Lepsius, Denkmäler III, 12d.